Last Monday, two ferries and an early flight had taken most of this year’s World Wide Lab (WWL) participants off the Greek Island Syros. After 16 days of communal living and working, it felt very surreal to walk in the monastery alone, hearing only the sound of the wind, barking dogs, church bells, boat sirens, roosters and some far away passing vehicles. No more English with various accents. No more faint accordion melody accompanying the singing of “Utopia”. No more collective annoyed sigh whenever WiFi broke off. Only the empty chairs left on the vast terrace, a pile of used linens in front of each room on the hallway, or the internet cable spaghettis leading to the collective Wi-Fi corner gave away traces of our time together. Last Tuesday at 6 o’clock, when Iphigenia, one of our actors, and I shut the front door of the monastery behind us, the chapter of WWL 2015 closed for real. However, it did not feel like I was walking away from a finished journey but towards something new and exciting. To be able to return to this feeling of excitement about the unknown and its possibilities, with which everything started five years ago, means a great deal to me. In 2010, a similar feeling emerged after I finished the Lincoln Center Directors Lab. 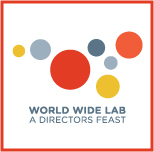 On the day of my departure from New York to Berlin, an idea of a lab festival, where directors learn from each other’s techniques and backgrounds by creating work together, started brewing among 70 directors around the globe. In 2011, thirteen directors out of seventy came together for a one-week residency at the Watermill Center on Long Island to figure out how such an idea could be put into practice. Going from near strangers to one-week communal living and working companions was quite a challenge for us. Different expectations triggered an explosion in our very first night together. It was not until we got on our feet to do what we set out for – to co-create by sharing each other’s techniques – did we start to listen and allow a real dialogue to emerge. This dialogue enabled us to turn the corner, making our differences our strength. We presented our different ways of working as a group before a small crowd, whose positive response reaffirmed our striving. The World Wide Lab was born. We left Long Island, promising ourselves to find a home where we could further our dialogue in practice. And we found it! In 2012, at our new found home “Irondale Center,” a former Sunday school auditorium in historic Presbyterian church in Brooklyn, we invited an acting ensemble and a team of designers to be part of our dialogue while we carefully stepped into the new and raw terrain of “co-directing”. Twelve projects were brought in – five of which had co-directorial team while the others continuously received inputs from directors visiting at their rehearsals. Every day was like a blind date, entering a new rehearsal excitedly, leading an exercise and giving feedback carefully at somebody else’s rehearsal. While it was awe-inspiring in the creative process, it was also hard with a production budget next to nothing in a very expensive city where all the out-of-towners had to pay for their lodging and our five NYC-based directors had to ask for lots of personal favors to move the production forward. Nevertheless, we successfully showed an evening of “directors’ feast” with 12 shorts, leading our invite-only audiences from one corner to another at the vast space of Irondale, each with a very different style. We were congratulated by our audiences with great excitement and interest in our international collaboration. This collective achievement made us even more hopeful and we were ready to dream bigger. In 2013, we were invited back to Irondale Center, where we took a step further with six thirty-minute-pieces and a paying public. We were able to motivate six international cultural institutions to support us, three of which, the Theater Communication Group (TCG) from the US, Stavros Niarchos Foundation from Greece and Taiwanese Ministry of Culture – Taipei Cultural Center of TECO in New York, had given financial support to WWL. We had grown! And part of the growing-up-deal is “no pain, no gain.” Despite of all the support we received, we needed more to cover all the production cost of what we aimed for, so we started a global crowdfunding campaign prior to our production to raise the missing US$8500. With different producing experiences as well as fundraising cultures among us, it was a hard-fought battle to somehow work together and achieve our goal with the help of more than 136 donors from 9 countries. WWL 2013 was finally ready to go. We aimed high and struggled even harder this time to come together as a group that shared both artistic vision as well as production responsibilities. It was extremely challenging to constantly negotiate different ideas about co-directing and co-producing among twelve directors under high pressure to “succeed” in producing public-compatible work. Dialogues that had helped us as a group in critical situation like our time at the Watermill or had helped us make a collective step like the end of WWL 2012 were somehow more and more difficult to sustain. That said, we did what directors do best in spite of all the challenges – we get things done. We had our first international press conference hosted by Taipei Cultural Center of TECO in New York with press coverage in Chinese, English, Greek and Italian. We brought out six pieces from two programs, well designed by our first-time co-artistic directors Evan T. Cummings and Ioli Andreadi and well received by our first public audiences. Inside the shining suit of success, however, tensions were high. I realized theater-making alone, which could be done anywhere and possibly under better conditions, is not what WWL means to me. It is the intercultural and interpersonal communication through theater-making as common ground that makes all the efforts for WWL worthwhile. The proposal for WWL 2014 in Rome was already on the table but how could we resume our communication that brought us together in the first place and move forward as a collective? We couldn’t answer this question as a group after WWL 2013 came to an end. Each of us left our last group meeting in NYC with a decision to make alone – whether or not to join WWL 2014 in Rome. Our Italian director Laura Caparrotti’s Rome proposal looked like a way out after all of us were exhausted by the many hats we had to put on for the production in NYC, especially our NYC-based directors, who had taken on immense producing responsibilities in two consecutive years. So it was understandable when many of us started to give their separate yes to WWL 2014 in Rome. Nevertheless, I couldn’t stop wondering what happened to our dialogue. What inspired me for this whole lab festival idea after our Lincoln center lab experience was dialogue. And what made one idea brew was dialogue as well. But only when all the different dialogues came together and became a forum have we committed ourselves to create WWL as a collective. So how could each of us make the decision about our collective future alone? It felt so weird and wrong to me. However, one of the many things I have learned out of WWL experience is to fight for a “yes” that crumbles walls and opens doors. Oftentimes making all the efforts to squeeze that “yes“ out of myself feels like going against all my better judgements. But then WWL wouldn’t have come into being at all if it weren’t for that “yes” to begin with. So I called for a virtual group meeting with the hope that a forum of exchange, which had brought us thus far, would emerge again and help me make my step within the WWL. In our exchange on skype, each of us shared personal achievements and failures with WWL in general and in 2013. This helped us remind each other of what brought us together in the first place and how much we had grown since then. With some distance, we were able to be constructive again when talking about mistakes, from which we could learn for the future. This discussion probably didn’t really help us resolve concrete issues but it did help us touch base with each other again. With another push from my long-year collaborator Evan Tsitsias, I was finally able to say “yes” again and take that step towards the unknown with a group that is finding its way to one another as a collective. After all, there is no model for what we are doing. The only way to figure it out is to remind ourselves of our strength as a group and fight for a “yes” that helps us make a step forward, even though we don’t always know where it leads us yet. In 2014, WWL entered the European continent for the first time, followed by many more “firsts”. In Rome, the hometown of our labbie Laura C, it was a first for most of the native English speakers of our group to work in a completely foreign environment and for all of us to work with actors who performed in a language we don’t speak, to share the authorship with our actors while working on a text, to “simply” direct without having to put on our producer’s hat, to let everybody else do the work on stage since we weren’t allowed there anyways due to Italian insurance policies, to smile and wave at our own press conference without knowing what exactly was being said, and to be equally foreign wherever we went. Out of all the fresh experiences, what had changed the whole dynamics of the group most was that we could finally embrace the creative process fully. Even though all of us still had to apply for grants or find other ways to get ourselves to Rome and pay for our lodging and living there, Laura C’s production company KIT Italia and her partner Donatella Codonesu took care of all the local production matters. Orly Noa Rabinyan as co-artistic director shared the artistic side of the load, making sure all the directorial teams had the support they needed to complete two programs with five pieces. There was more time between rehearsals since we were sharing one rehearsal space. This allowed me not to be on a mode of a working robot all the time but to sometimes breathe, digest and reflect. It also slowed me down a bit so that I could have a moment to take in all that history and culture the city has to offer and be inspired. Something about being in a city full of traces from the past that’s so much bigger and older than I could imagine humbled me. Even though the left-over conflicts from the previous lab stayed unresolved, the dialogues that used to bring us forth and that I so longed for took place only in small groups and our involvement in each other’s rehearsal remained scarce, somehow being where we were and doing what we did slowly paved our way to each other. At our final group meeting in Rome, we talked about what we had achieved and what we had missed while everyone was sipping yummy cocktails through straws made of pasta. It was magically effortless to come to a group consensus: Let’s find our way back to each other again. Something like our one week residency at the Watermill. As usual, we didn’t know how yet but that collective consensus was enough for a gentle step forward. The universe obviously had overheard our request. On the Christmas Eve of 2014, our Greek fellow director Ioli Andreadi brought us some surprising news: Apollon Theatre on the Island Syros would like to host us and we could use Syros Institute, the former monastery, as our residency, where we could all live and work. Exactly what we said we needed at our meeting in Rome and better, with an amazing theater space, where we would have all the support to put on our shows. I wasn’t able to digest this unbelievable news until I actually lived it. On August 23, 2015, we kicked off WWL 2015 on Syros Island by doing exactly what we did at the Watermill on Long Island – we presented our different ways of working as directors by taking turns to lead an exercise or give directions at our first ensemble warm-up. Actions speak louder than words. After experiencing what it meant to work with 8 different directors, our cast and designers who we just met appeared relieved and ready to embark on a new journey with us. The uneasiness and anxiety that were in the air started to fade away. What continued to unfold in the following 11 days of communal working and living in a monastery with 8 directors, 10 actors and 2 designers was something I have been having such a hard time putting my finger on since more than two weeks. Like our experience in Rome, something changed us without us actively digging for a change as a group. This year on Syros, it was again less about us, more about the place and the people we met that stirred something in us. Our co-designers who we met for the first time showed us inspirational pictures my co-directors Laura Tesman, Evan Tsitsias and I just talked about when we had our meeting in Athens. Our actors, whom we worried that we exhausted too much, couldn’t stop rehearsing after a long day of rehearsal. They continued to rehearse on their own in the kitchen, on the hallway, at different corners of the monastery and at the beach. When they couldn’t figure out a scene, some stayed overnight to work alone; some grabbed us in the middle of the night to discuss it. Our only locals of the team, Thanos Foskolos and Penelope Aslanoglou did not simply play their part as an actor and a set designer. They made sure we had food to eat in our lunch break, we went to their lovely beach when having a day off, we knew where to have best food, coffee and cocktails after a long day of work, we danced off our stress when work got too much and we had enough toilet paper (!) at our solitary monastery. At our technical rehearsal, the nature of which is normally stress, our lighting designer who barely spoke English never lost her cool, patiently suggested what worked better in Greek, waited for translation and provided us what we asked for. While our co-artistic director Ioli Andreadi and two co-designers Penelope Aslanoglou and Katerina Kolliopoulou made sure the communication was clear and smooth, everyone in the space was ready to jump in whenever a translator was needed. While there was no budget for any costume, props and set, neither was there any unsolvable obstacles in the dictionary of our local co-designer Penelope, who obviously made use of all her local resources to make sure we got all we wanted and needed for three pieces, without compromise. I believe part of the reason why it took me forever to write this overdue blog post is that I am still so much in shock that I have had such difficult time putting my hard-to-digest experience into comprehensible sentences. Finally, in my conversation with Evan T in Athens, one equivalent sentence that best describes how I feel about this year’s experience is the compliment Jack Nicholson made to Helen Hunt in the film “As good as it gets”: “You made me want to be a better man.” These people, who worked to such a selfless extent with one goal in mind that is to produce a wonderful evening together, humbled me and made me want to be a better person. It was not about me, or any individual or WWL. It was about a Utopia that we all believed in. In our fifth year of WWL this year, we have created a unified evening, for which our co-artistic directors Ioli Andreadi and Jay Stern put much effort and thought into, with three pieces, of which the three directorial teams have all the reasons to be proud. Most importantly, we have returned to that place where we could be all excited about the unknown journey ahead of us that is World Wide Lab. This entry was posted on September 17, 2015 by Jay Stern.